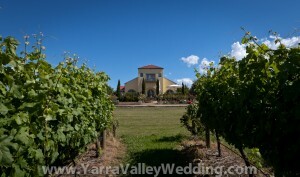 I’ve been out and about scouting locations for wedding photography in the Yarra Valley this week and came across the fabulous Tokar Estate. Family owned and run, this little gem has an incredible restaurant, an amazing cellar door with several award winning wines, as well as sweeping views of their vineyards and the Yarra Valley beyond. The restaurant is ideally suited to weddings and can cater for up to 100 guests.